PME Edible Glaze provides shine to your sugar designs, including Chocolate, Fondant and Gumpaste among others. Also used in Isomalt. 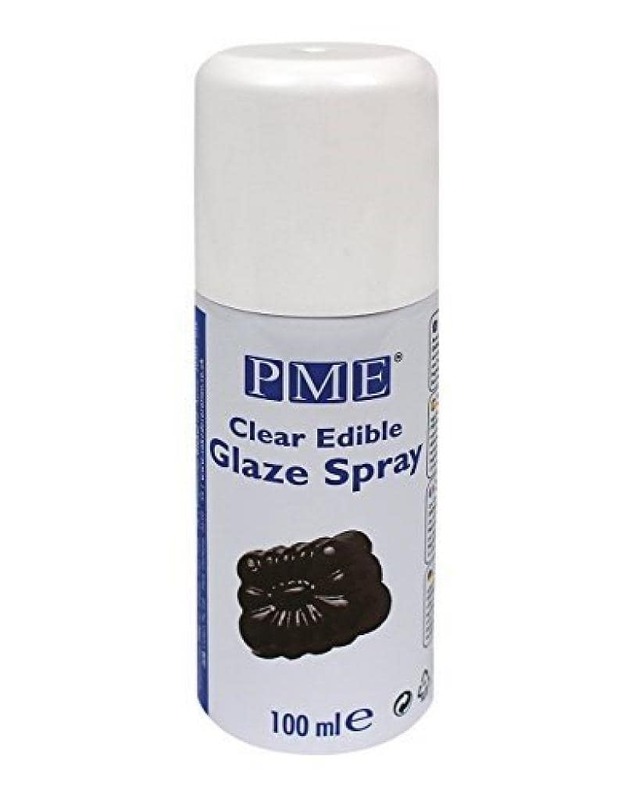 The Edible Glaze comes in a spray can. Shine up cakes, chocolates, cupcakes, sugar flowers, cookies and deserts. The can contains 100ml (3 3/8 oz. ).